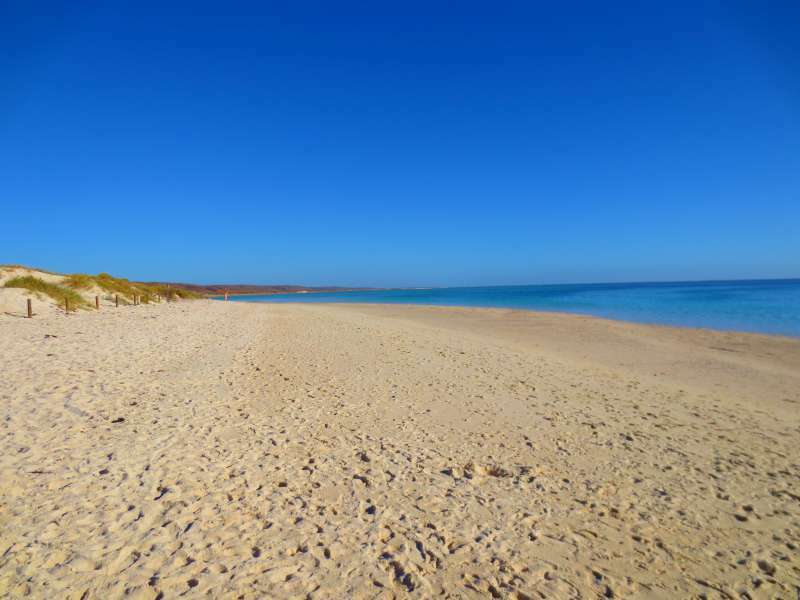 The Travelling Lindfields: Is snorkeling on Ningaloo Reef overrated? Is snorkeling on Ningaloo Reef overrated? 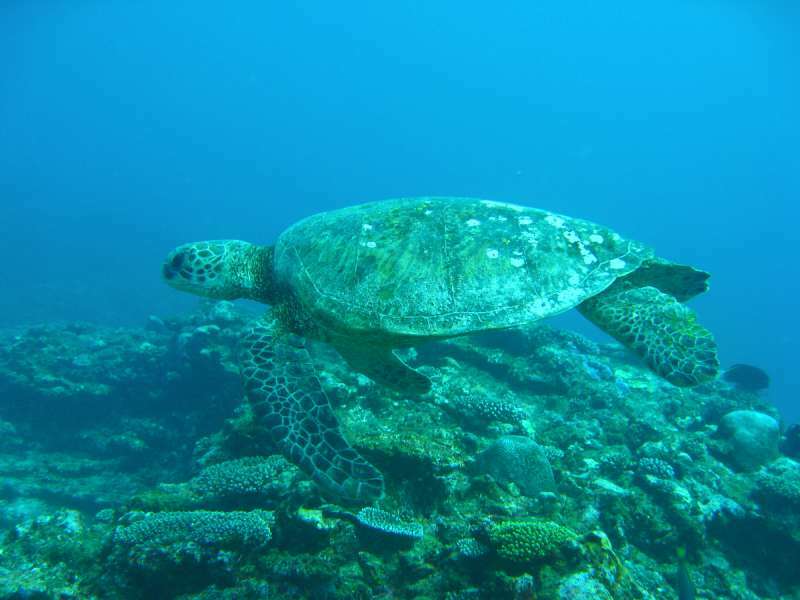 Ningaloo Reef is one of the largest fringing reefs on the planet. It extends for 260 kms (162 miles) along the coast of Western Australia from Red Bluff, near Carnarvon to Bundegi Beach just north of Exmouth. The turquoise blue waters are stunning, the fish and other marine animals prolific and, best of all, much of the reef can be accessed by stepping straight off the beach. What is there not to love? I am a self-confessed snorkeling addict married to an otherwise perfect husband, who doesn't swim. Being able to snorkel by stepping straight off a beach ought to be nirvana for me. It saves me going out alone on long boat trips to reach the coral. 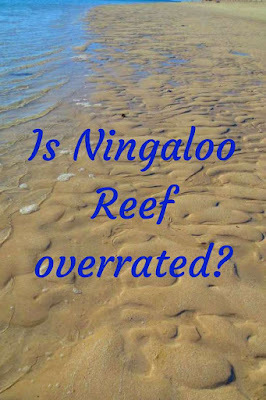 Perhaps my expectations were too high but having nagged David for years to take me to Ningaloo Reef, I was disappointed. 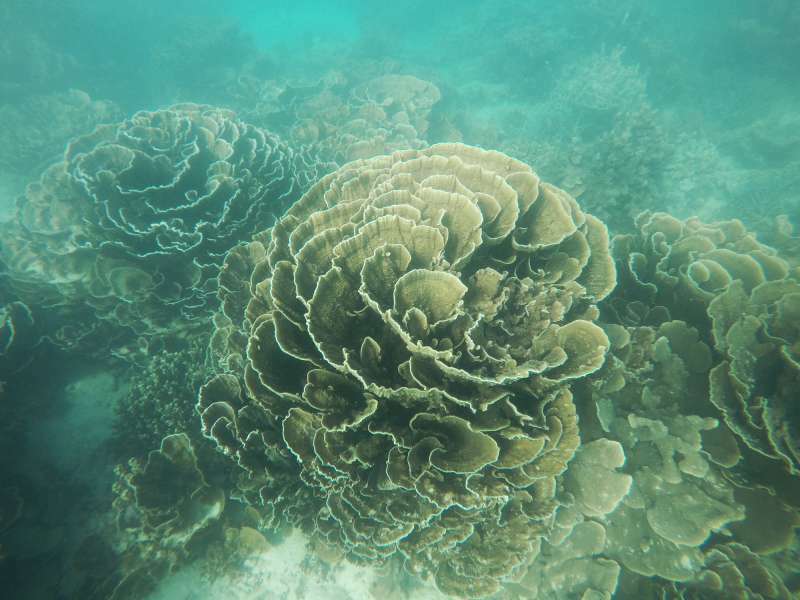 Over the course of a two week road trip from Perth to Exmouth I snorkeled Ningaloo Reef at four different locations and found the same thing every time - the coral isn't especially colourful. When I asked a few locals they all said the same thing - soft corals aren't as colourful as hard corals and soft coral predominates in the areas I chose. 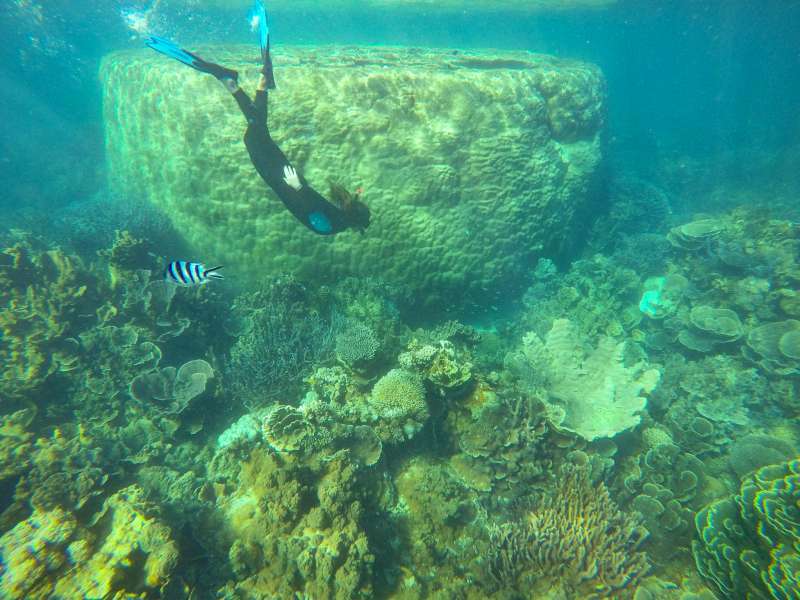 There was also no doubt that in the popular spots much of the hard coral is dead - broken off and trampled by snorkelers getting a bit too close or trying to stand where they shouldn't. I don't blame them. Sometimes a weak swimmer will get a bit panicky and just have to put their feet down, or a strong swimmer will misjudge the current. I have done it myself and will forever feel guilty about the beautiful piece of coral I snapped off when snorkeling off the Abrolhos Islands near Geraldton. 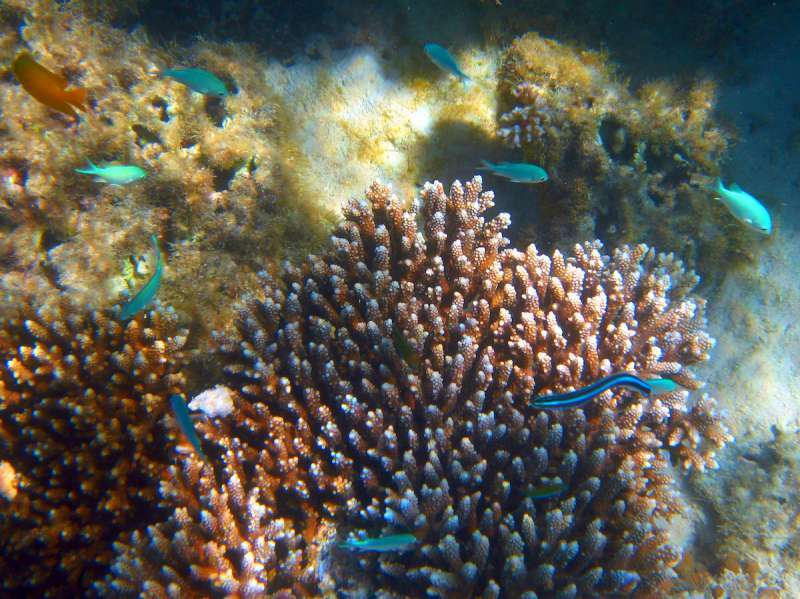 However the result is, unfortunately, a lot of dead, bleached white coral - not what snorkelers come to see. If you are headed to Ningaloo Reef and you want to snorkel, I have put together a guide to the main spots. 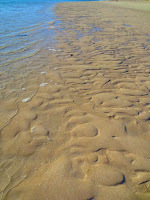 Despite the disappointing coral I would go to Ningaloo again. The road trip from Perth to Exmouth along Western Australia's Coral Coast is a great Australian adventure, remote enough to feel like you are exploring the fringes of the populated world and yet not so far from civilisation that you are likely to get yourself into trouble. 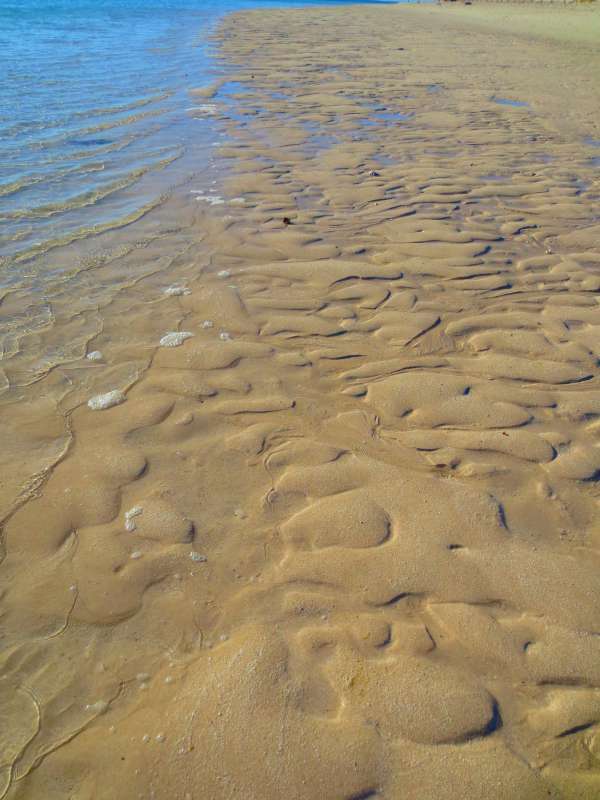 Coral Bay is 240 km north of Carnarvon and 150 km south of Exmouth. People go there to snorkel - trust me there is nothing else and you have to be keen because the accommodation is basic. We had low expectations of the only motel in town (David doesn't camp or do hostels) so it was a pleasant surprise to find the room had been recently renovated. Perhaps all those scathing Trip Advisor reviews have had an effect. Even so after two nights we were happy to leave. If we ever go back I would try to rent a holiday house. 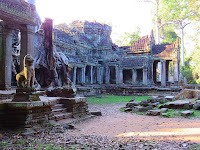 If you are looking for accommodation you could try either of these websites. I have no affiliation with them so I can't vouch for them in any way - coralbay.org or coralbaywa.com.au . The beach is lovely. Head down there early, grab one of the shaded cabanas and set yourself up for the day. The reef starts literally a metre or two from the water's edge. The semi-circular bay is great for children and less confident swimmers. However don't expect stunning coral - the colours are very disappointing. In a day and a half spent exploring as much of the bay as I could swim to from the beach I saw lots of brightly coloured tropical fish, and some lovely coral but nothing like as much as I expected. Mostly the coral was bleached white and much of it, especially close to the shore, was broken off and lifeless. Advice from the locals was that the better coral was further out, however I am a strong swimmer and as far out as I could swim at low tide the coral was disappointing. The best coral was along the drift snorkel from the far southern end of the beach. The current runs back toward the main bay giving you the chance to just float along and enjoy the view. For a detailed guide on the best snorkeling at Coral Bay go to Wild Western Australia, a personal blog written by a West Australian. Don't miss the fish feeding. On Mondays, Wednesdays and Fridays at 3.30 pm the local snapper are fed. Visitors line up in the shallows facing the ocean while the snapper, which are clearly a lot smarter than they look, swim up and down the line and between all the sets of legs, waiting. A park ranger hands out pellets, gives a few quick instructions, and then it is a fish feeding free-for-all with the snapper snatching pellets as they drop into the water. Don't be late because it all happens quickly. 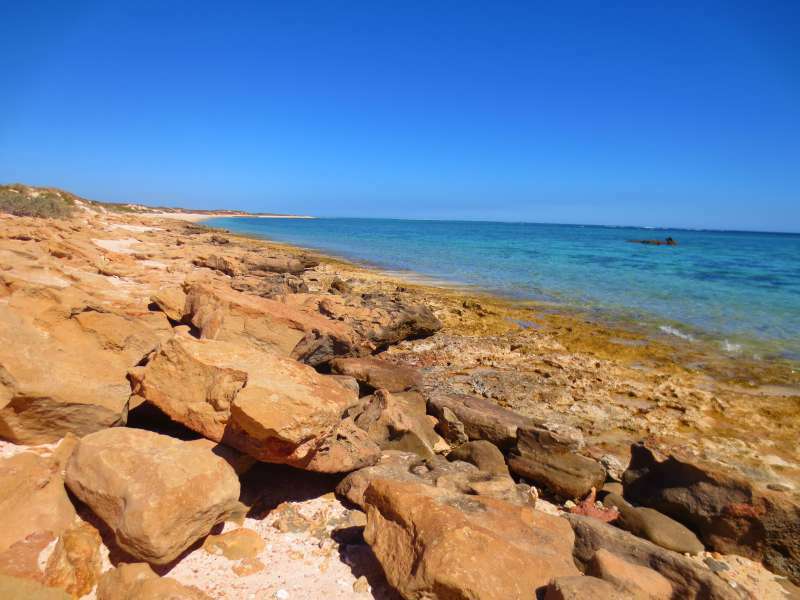 The Oyster Stacks, Turquoise Bay and Bundegi Beach are all within an hour's drive of Exmouth. Accommodation at Exmouth is expensive, it is in the middle of nowhere after all, but there is plenty of it and there were a few places which looked reasonable. 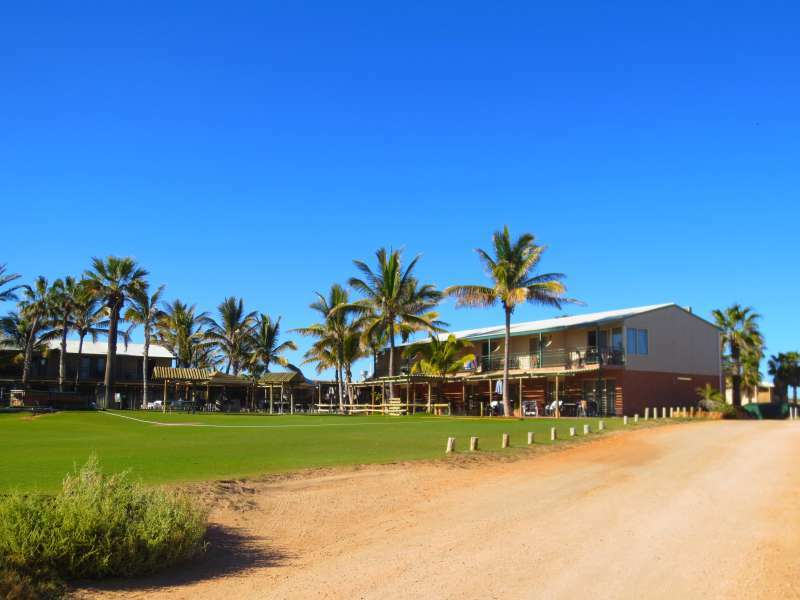 We stayed at Mantarays Ningaloo Beach Resort. It was nice but very pricey. 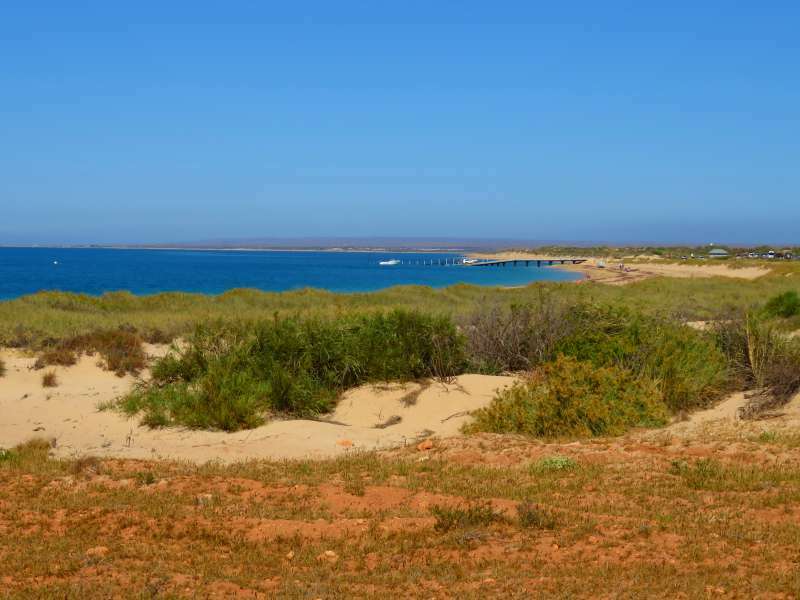 The best thing about this part of Ningaloo Reef is that Exmouth is an interesting town. It is literally the town America built in the Australian outback, but I will leave that story for another post. When you aren't snorkeling there are plenty of other things to do. Exmouth must be the emu capital of the world. It is the only town where I have seen emus walking down the main street. David and I had a great time watching them. 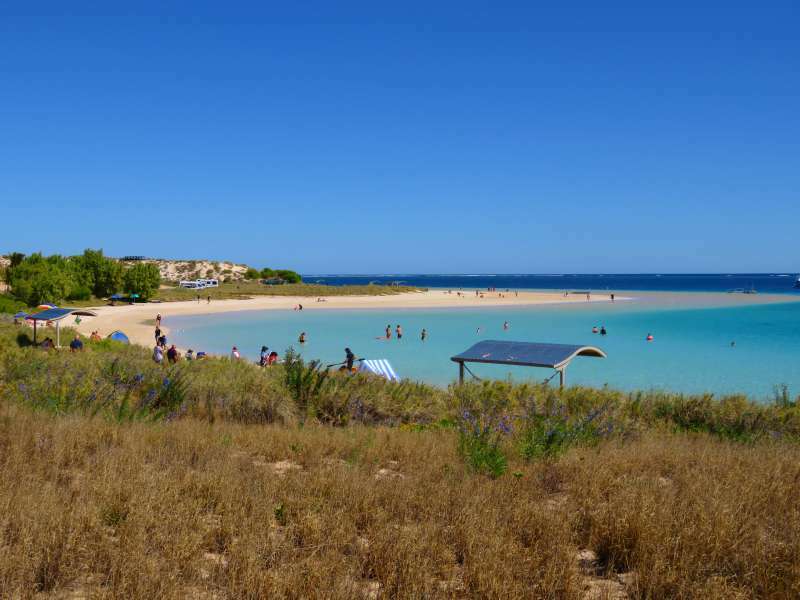 Note that the Oyster Stacks and Turquoise Bay are both in Cape Range National Park which has an entrance fee of $12. The Oyster Stacks are off Yardie Creek Rd in Cape Range National Park, about an hour's drive from Exmouth. The Oyster Stacks were the best snorkeling spot we found (excluding the Abrolhos Islands which aren't strictly part of Ningaloo Reef). The snorkeling is safe, family friendly and, although the coral was disappointing, there were dozens of brightly coloured fish. The reef comes right up to the edge of the water. The shoreline is rocky and you need to be a little careful entering the water but we had no trouble. There is a small sandy beach to the left at the end of the path where you can enter the water without picking your way across rocks. Don't go at low tide. The local Visitor Information Centre has information on the tides. The Oyster Stacks. Getting into the water requires a bit of care but it isn't too hard. With a reputation for being one of the best snorkeling spots in Cape Range National Park perhaps my expectations of the drift snorkel at Turquoise Bay were just too high. The beach is gorgeous, the colour of the water is glorious and floating along with the prevailing current is heavenly but where was the beautiful coral - nowhere that I could see. Even the tropical fish seemed to have the day off. Turquoise Bay is ten minutes north of the Oyster Stacks so you can snorkel both in the same day easily but if you are pressed for time I would choose the Oyster Stacks. Having said that, Turquoise Bay is all sand and sea without the rocky shoreline of the Oyster Stacks. If you are after that lazy, sun-drenched, white-sand, beach in the middle of nowhere feel then Turquoise Bay is for you. The Navy Pier at Bundegi Beach was the launch point for the only guided snorkeling tour we tried. We went with Snorkel Ningaloo on a half day tour using underwater scooters. David is a weak swimmer and he was convinced that using a scooter would giving him the confidence he lacked - it didn't! Notwithstanding that the scooters are advertised as suitable for children and less confident swimmers David found the experience so daunting that after five minutes he was back in the boat. Even I took a while to get used to the scooter and I am a strong, confident swimmer. Going against the current the scooter was helpful but I couldn't really see that it made much of a difference to the overall experience, and once again the coral was disappointing. I did see a manta ray, which was pretty exciting. Pinnacles and Stromatolites: Ancient formations and living fossils. 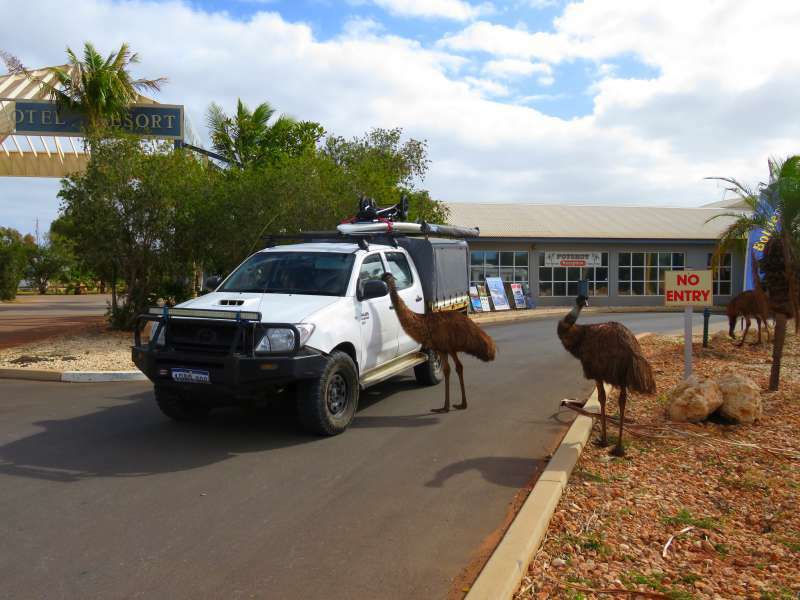 I am pretty sure that the people in the car enticed the emus with cake. We watched a flock of four for ages wandering around the town and that was the only car they approached. As a road trip it is fabulous. I loved it, it was only the snorkeling which I found disappointing. I don't think anyone had heard of Ningaloo Reef in the 1990s. I know I hadn't. It must have been wonderfully untouched then. 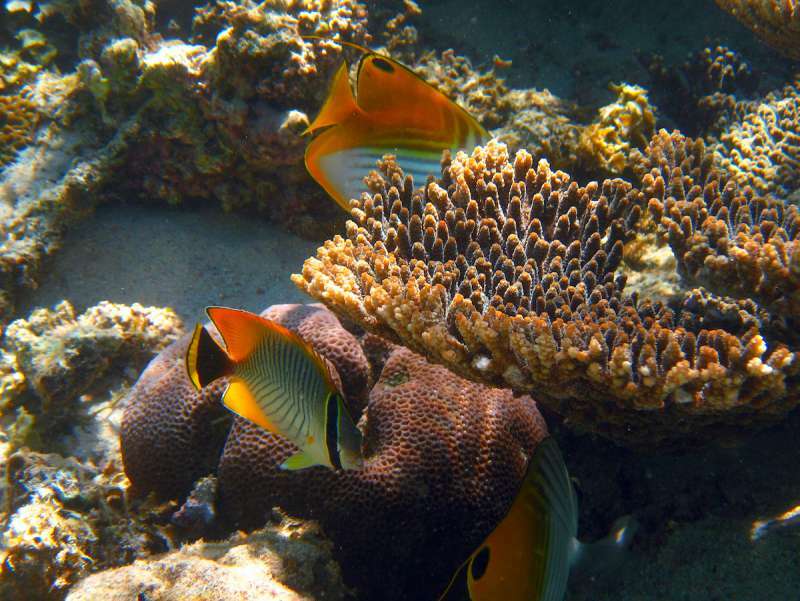 I like snorkelling to see the colourful wildlife. The fish and turtle would interest me. Emus on the road would be quite amusing too. The turtles were great fun. I saw at least three of them in different locations. The emus were a lot of fun too. We have them in eastern Australia but it isn't all that usual to see them and certainly not in the middle of a town. I think there might be a distinction between 'largest reef' and largest fringing reef'. The Great Barrier Reef is the largest coral reef on the planet but perhaps it isn't strictly a fringing reef. I take your point though and I think I will edit my first sentence so it is a bit less dogmatic. I do love to avoid the long boat rides but I would want to see colorful coral, I just want it all:) The beach looks great though so it would be a fun road trip for a beach day. The beaches along the coast of Western Australia are stunning and make great stops on a road trip. I did a post on the Pinnacles a few months ago. They are incredible! The road trip up the Western Australian coast is a great adventure. I was disappointed with the reef but the coast itself is spectacular. My husband is an avid snorkeler - in fact, he would do it everyday if he could. We've never snorkeled in Australia - but have done spots in the Caribbean and Hawaii. He would say his best snorkeling was off of Curacao and I loved Belize - though he was entirely disappointed there. I'm sorry to hear that you were disappointed here. But glad to hear that the road trip was a success - minus the snorkeling. I can perfectly understand why your husband could snorkel every day - so would I given the chance. Snorkeling off the Great Barrier Reef, on the east coast of Australia, is stunning but you have to either stay on an island or take a long boat ride. Look at those emus. Fabulous photos too, as I feel like I am there, reading your post. If a place has pristine nature I am in. But not a snorkeling type though so I know you have a more discerning snorkeling palate ;) Thanks for the helpful share. There are plenty of things to do other than snorkel. The road trip between Perth and Exmouth was great fun. Thanks for the detailed and honest evaluation. It seems like I'm often disappointed with snorkeling spots that are supposed to be great, so it's nice to know exactly what to expect - everyone has such different expectations. My husband is happy just enjoying the fish (when there are some around) but broken and dead coral depresses me so much I have a hard time focusing on anything else. . . . and I'm a sucker for color! I am with you on colour - I love it. We did see quite a few colourful fish, especially at The Oyster Stacks. My favourite is Turquoise Bay I could snorkel there all day. The coral may not be as colourful but the fish varieties are stunning. It is possible that we just got unlucky at Turquoise Bay because we didn't see that many fish. I suppose tropical fish are like all animals - sometimes you see more than others. I have been to quite a few of the Great Barrier Reef island but not to Heron. I must have a look at it for our next trip. Pinned! I appreciate the review. How was the food? The Coral Coast in Western Australia is famous for rock lobsters but to be honest they were so expensive we decided to give them the miss. Even if the coral is a damaged and a bit disappointing, these look like great spots to enjoy a swim and the beach. Together with your other posts on Western Australia, you've got us thinking we need a trip to see these places for ourselves! As ever, so much world...so few vacation days. (We're sure it's an evil plot to make us insane. ;) Thanks for sharing on #WeekendWanderlust & #TheWeeklyPostcard. It is an evil plot and we are caught by it too! Thx for the lovely post, Lyn. I have yet to visit Australia, but it's definitely on my list. It is sad that the coral is suffering. But similar things are happening in other parts of the world as well. I live on Lake Wiinipeg, and we are petrified what the zebra mussels are doing to our lovely lake. It is now beyond our control, as once they're in, they're in. When I was young everyone thought the Great Barrier Reef was going to be devastated by the Crown of Thorn starfish. It was in the news all the time for several years. It turned out to be a natural phenomenon that went in cycles. The Crown of Thorns was a native species though. I assume that the zebra mussels are not. Too bad about the coral but like you I have been caught by an unsuspecting current or wave and put my foot down unexpectedly. The guide would be very helpful for anyone wanting to make a trip to the area. I have snorkelled a lot and so far as I can remember only damaged the coral once - but it was one time too many for me.